Draniki are thick pancakes made from grated potatoes, eggs and flour. A potato version of pancakes to cook during the Maslenitsa week. In Russia, there is a saying: The potato is our second bread, and bread is the foundation of life. Potatoes are important for a cold country like Russia. Potatoes grow well here, they last all winter, and the dishes you can create from them are warm and filling. For Russians, draniki are the can’t-miss potato dish. They’re also prepared in Belarus and Ukraine and are also sometimes known as deruny, dyoriki and kakoritsy. Draniki — another delicious dish to eat during Maslenitsa week. Source: Daria Sokolova.So what is it? Draniki are thick pancakes made from grated potatoes combined with flour, eggs and onions. They can be cooked with meat (in this variation they are called called kolduny, or “witches”), with mushrooms, hard cheese and even fish. The name "draniki" comes from old Slavonic, the precursor of modern Russian, and is derived from the word "drat", meaning ‘to rub’ or ‘to ‘grate’. Draniki are prepared from raw potatoes, grated on a special sharp board. 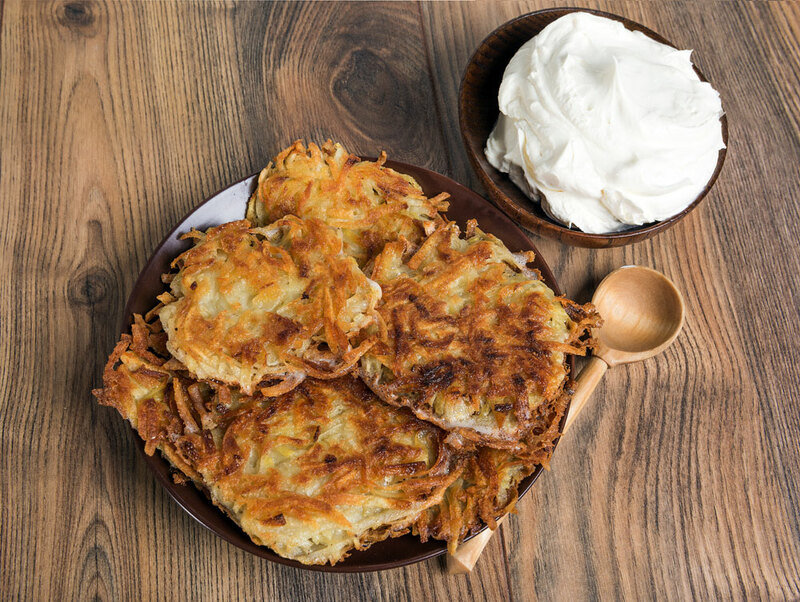 These potato pancakes are traditionally eaten for breakfast, and in rural Russian villages, there was an interesting tradition regarding them: before enjoying this dish, you needed to eat a dry crust of black bread. Draniki: the delicious potato breakfast. Source: Daria Sokolova.Draniki are so tasty, that it’s fortunate they are easy to prepare — you might end up making several batches! It is not difficult to make draniki. Source: Daria Sokolova. 1. To prepare the batter: peel the potatoes and onion, then grate them. The size of the grated vegetables isn’t really important, although experienced cooks say that batter made from smaller pieces will be lighter. Crack the eggs into a dish and beat lightly. Mix all the ingredients together in a bowl. You can also use whole wheat flour if you want to make them slightly more healthful. Just for reference, draniki average 200 calories per 100 grams. There are so many ways to eat draniki! Source: Daria Sokolova.Serve with sour cream. Eat warm and in good company. Draniki are ideal as snacks, as a side dish, or as a meal on their own.